Researching family history is never an easy task, but when you do find something of interest you just cant wait to share it with someone. Someone that is actually interested. I'm just a back woods country girl that got thrown into the city as a young adult and forever yearned to find my way back to where I had came from. Married too young, had four children in 7 years, and ended up a single mother. Remarried, uh oh.., that one didn't work either. Got my three living children raised and through high school (whew)and like a fool, tried the marrying thing again. It's been 10 years, and I'm still hanging in there. I'm the kind of person that gets along much better with animals than I do people. There are two things that I love, that I just can't get enough of,.. my animals, and my family history. Searching the counties of the places my ancestors lived, and learning about the lives they chose fills me with more wonder. The strength and hardships that they endured lives on only in the memory of what has been, now a never ending paper trail. There and only there is where it stops. Unless someone like me picks it up and continues to carry it forward. So this is my destiny. My animals. That being my two King Charles Cavalier spaniels, and my two quarter horses. Fondly known as 'my boys' (the dogs), and "my girls", the horses. In 1899 Andrew received a letter from Minnie Huber telling about a beautiful parcel of land located near South Bend, Nebraska. Andrew traveled by train to Louisville, Nebraska where Minnie and her husband, John George, met him at the depot. The next day Andrew accompanied them by horse and buggy to look at the tract of land located two miles west and one half mile south of South Bend. When Andrew inspected the land it looked so much like his home in Baden near the Black Forest, that he became homesick, even after all the years in America. The eighty acres had a creek named Pawnee Creek, after the Pawnee Indian tribe. The Pawnees had many campsites along the creek. This creek flowed through the center of this property with crystal clear waters. There was a high rock hill along the creek. The earth above the rock hill was the same texture as that in Germany where the grapes were grown in Emmendingen, Kondringen. The rich ground had an abundance of prairie grasses on it. Andrew immediately went back to South Dakota and sold the 160 acres he had homesteaded, and the timber claim, all for a small sum of money. This decision was made mostly because of all the years of drought, grasshoppers, locusts, and prairie fires that were often started by lightning. His wife, Louise, protested as she did not want to leave her many friends and family and start all over again. The eighty acres of ground at South Bend was owned by Joe Sweeney. The purchase price for this ground was $3,000.00. Joe Sweeney was related to John George Huber. 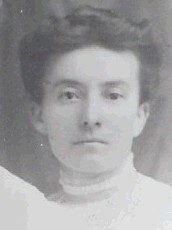 Joe had a daughter, Molly, who was married to August Newman. Their children were John and Dottie. The Sweeney family went to California from South Bend, but they were unable to take their two large dogs with them. The dogs remained in the care of the Blum family until they were sent for. The 13 acres of ground above the rock hill was planted to grapes and pasture. The grapes thrived and produced many barrels of wine. The grape rows were four feet apart and they used one horse and a plow to keep the weeds under control between the rows of grapes, and a hoe was used around the vines. Each year as the plow was used, the Indian arrow heads would be plowed to the surface. 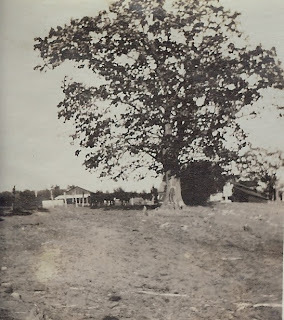 An Indian camp had been situated on the high hill. A stone house was erected east of the Pawnee Creek. Stones dug out of the rock hill were used for the house, and a cave was dug under the south side of the house to provide a cool place for the many kegs of wine. The kegs were stacked two or three deep in clusters of six or nine to a cluster. 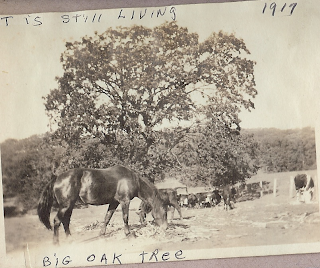 Other buildings included a large barn to accomodate horses on one side and the milk cows on the other, with a ladder to go to the hay loft. Also a very unique building, which I doubt will ever be seen again anywhere, was a long building. A corn crib was on the west side. The corn was picked by hand, and stored in this area. On the east side there were enclosed grain bins, for wheat and oats. The structure was built on pilaster posts, at least 12 feet high, so wagon's could be driven underneath to load grain and take it to the elevator in the winter. This structure was built by a rock wall. Andrew used large rocks from the rock hill to build the wall at least 20 feet high. It was enclosed with a floor above the wall and to the side of the corn crib and grain bins, to allow unloading of grain in the bins and crib area. A chicken house was erected along the same rock wall, with a building above and to the north side, which contained space for the storage of corn cobs, fire wood for the cook stove and heating stove, and storage area for goods and materials needed for the farm operation. A natural spring appeared south and east of the chicken house, a little higher on the hill. The water appeared to be coming out of the ground from the roots of a red oak tree. A cistern type hole was dug about ten feet deep near the spring on the lower side. This was enclosed and a dumb waiter was installed, with a rope and pulley with shelves attached to the rope. The butter, eggs, cream, milk, and other foods were kept on these shelves as it was cool in the summer and never froze in the winter. The cool spring water flowed through this structure, with the use of a wooden trough, a pipe was used to continue the water into the chicken house. The trough was constructed through this building, and a pipe was installed to exit the water from this building to a tank for the cattle and hogs, and continued out to the pond. The natural springs always kept clear fresh water in this small pond. In the winter time when the pond froze over, Albert, Martin, and Marvin Sutton, and the Snyder sisters would ice skate on the pond. One of the girls name was Hazel. They lived one mile west of Pawnee Creek. Many winter nights the Blum family and friends would ice skate on the pond by the light of the moon. The stone house had a spiral staircase leading from the second floor to a tower. This room had look out windws, one to the north and one to the south. In later years and additon was constructed on the south side of the house. Directly north of the stone house Louise planted her garden. On the north of the garden and to the east, was another rocky area about 30 feet higher than the rest of the ground. Ths land proved to be highly productive for pear, peach, apple, and cherry trees, Also grown in this location were raspberry, blackberry, blueberry, and gooseberry bushes. Andrew had name tags printed with read: Andrew Blum Fruitgrower. While walking through the pasture there were gooseberry bushes everywhere. It didn't make any difference what kind of berry you wanted, they grew profusely along every road. This included, chokecherry, elderberry and wild plums. On July 15, 1900, Andrew Blum Jr., was born. 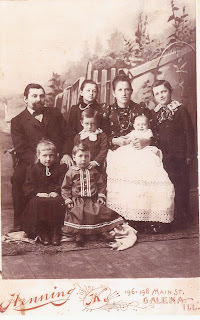 In 1901 the family living at the South Bend homestead were Andrew and Louise, Louise's mother, Caroline "Jenne" Moessinger, seventy nine years old, the seven Blum childre, Ida 19, Ernest, 17, Albert 13, Louise 9, Marie 6, William 3, and Andrew 1. Andrew Jr,, was not born exactly normal. He was small in stature and mentally impaired. My dad, Cecil Pierce, tells me what he remembers of him was that as children they would chase him and tease him. He liked to keep all of his things neatly organized, and they would mess up his things and make him mad. Great Grandmother always wondered if she had sinned in some way that God would punish her through her child. During the year of 1904, Louise's mother, Caroline, put a large granite pan of potato's on the stove to cook. It was the type of pan that was small on the bottom and big around on the top. It did not set well on the stove, which burned corn cobs and wood. The burner lid would be removed so the pan could be placed directly on the burning cobs, and wood. Caroline went to check to see if they were done and the kettle tipped over and the boiling water poured out onto her legs. The skin from the burns did not heal and someone suggested that they use a lamb manure poltice. The Talbotts had lambs, so they got some manure from them and tried it. This treatment did not help and soon after that she had a stroke. 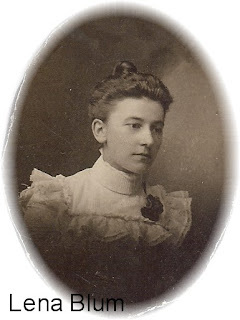 It was some time later that she passed away on May 30 1905 and was buried on June 6, 1905 at the Trinity Lutheran Church north of Murdock, Nebraska. There is a large headstone upon her burial place engraved in German. My grandmother, Marie, took her grandmother's passing especially hard. They were very close, and were bed mates. 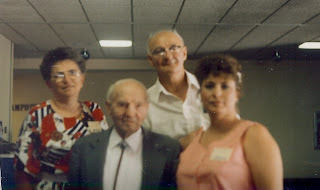 Ida Blum postphoned her wedding from June 1st to June 15th for her grandmothers funeral, and Ernest was home for a few day as he was attending taxidermy school in Omaha. Ernest told of his granmother Caroline being so dilirious from the pain that she tried to climb the walls. 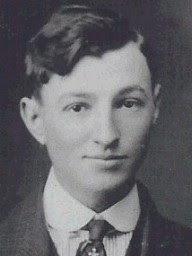 Martin Blum was born March 8, 1905 at South Bend and was almost 3 months old when his grandmother died. I was the sixth of eight living children, born on the bleak and barren prairies of White Lake, South Dakota on February 17. 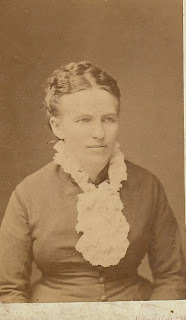 1898, sometime after noon, as mother (Louise) confidentialy related to my wife in their heart to heart talks. 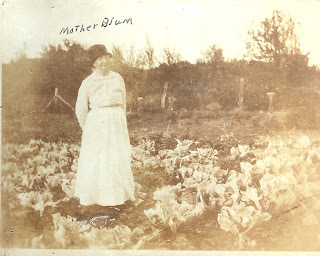 My father (Andrew) and mother's sister, Caroline (William Blum's wife) went into town to replenish the family larder, as things were not so conviently handy, as we have it now, and in their absence, it was such a beautiful day, my mother decided to get straw for bedding for the live stock, and chickens. She harnessed the horses, hitched them to the hay rack and drove them to the straw stack. Soon after arriving there, she felt the urgence to get back to the sod house, for the impending birth made itself felt. So, she had the concious concern, would Andrew and Caroline get back in time. (Caroline was the area midwife and delivered many babies on the plains.). 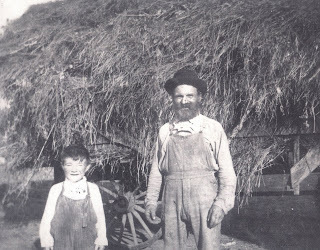 I was two years old when, after nineteen years of very strenuous living, ekeing out an existence on a South Dakota homestead, they were lured to South Bend, Nebraska to a land of plenty of water. 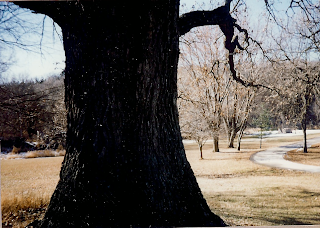 A natural spring which seemed to originate from the roots of a red oak tree. Pawnee Creek flowed through the middle of the eighty acre tract of land, which had trees and orchards and was a productive land. My folks were always strapped for funds, as my father made snap decisions, which were not always productive, and mother had to fill in the gaps. He was always hale and hearty with friends and hired men, to cook for , but was also helpful to provide. We do not realize the aches and pains our parent suffer until we experience them ourselves. Mother was so plagued with headaches, I remember her using the horse radish leaves to tie around her head, and the agony she had with her gall bladder. After her operation in January of 1928, she died February 2 of pneumonia. She was recognized as a friend of the old people to releive them of their suffering. I was baptized in the Lutheran Church in White Lake, South Dakota on the tenth day of April 1898. I was confirmed March 31, 1912. Psalms 37:5 was the Bible passage. Commit thy way unto the Lord: trust also in him; and he shall bring it to pass. We were always guided and warned of temptation under mother's watchful eye. This quotation: God knew he couldn't be everywhere, so he put his little children in a loving mother's care. Mother was alway more thorough in exercising attention. William Blum was the last of the Andrew Blum Children to leave us in 1996. 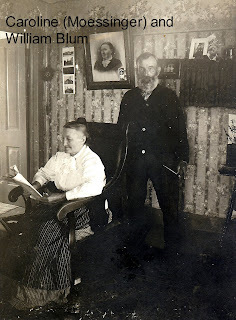 In 1886 and 1887 Andrew worked as a carpenter and lived at 2501 Center Street, Omaha. Again Andrew sent money to Germany for the sister of his wife Louise, and William's wife Caroline, (this is where things get confusing, as the two of the Blum brothers married two of the Moessinger sisters, and another brother married a Carolina Messinger (not a relative to Louise and Caroline!! ), Wilhelmina (known affectionately as Minnie) , her husband, John Geroge Huber, and their children, George (Wilhelmina's son born 1870 before she was married to John), and Anna (born 1882). With them this time was the mother of Louise, Caroline, and Wihelmina, CAROLINE 'JENNE' MOESSINGER (pronounced 'maysinger"), born August 16, 1822. It had been almost seven years since Caroline had seen her mother. Can you imagine the anticipation she must have felt, waiting for the arrival of her mother and sister? And Louise also, having came to America as a young single girl, now married with two children of her own. The first time for Caroline (mother) to meet with her new grandchildren. Yet leaving behind a home in the turmoils of war, not knowing for sure if her husband was dead or alive, and would some day be joining her here in this new land. Yet to be reunited with the majority of her children must have been a God send compared to the place she had left behind. I wonder what she thought when she reached that little homestead shack in South Dakota, on the big wide prarie so sparcely inhabited? 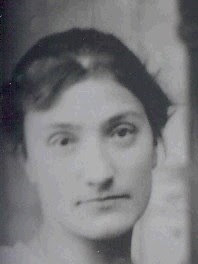 June 11, 1886, Eliza Blum was born at White Lake, South Dakota. On August 14, 1886, she was baptized and those attending the baptism, and signing the certificate, were her uncles, William and Gustav Blum. 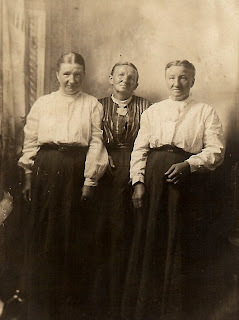 Also, her aunts, Caroline and Wilhelmina. This joyous event was held at the Lutheran Church at White Lake, South Dakota. The Blum's were devout Lutherans, and their childern were raised in the faith. Andrew and Louise traveled to Omaha and spent the winter there while Andrew worked at one of the breweries, returning in the spring for the planting season. 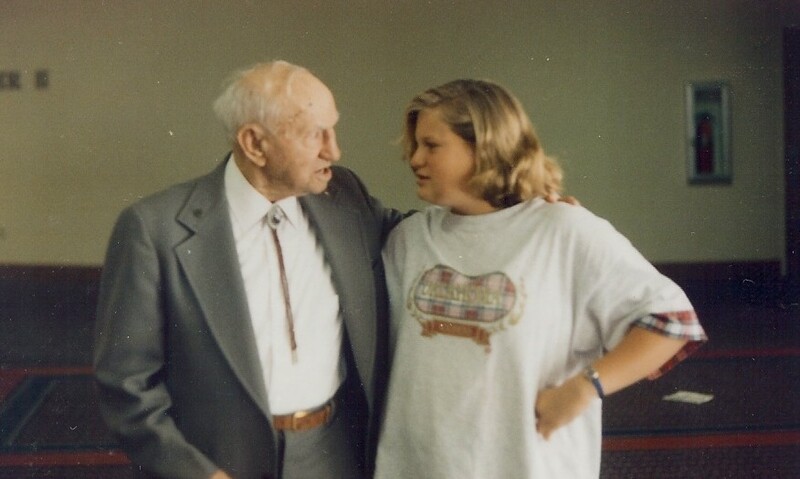 On September 22, 1888, Albert Blum was born at White, Lake. March 29, 1889, Eliza Blum died from dyptheria, or small pox, at the age of three. In 1892 Andrew and Louise went back to Omaha where they lived at 2nd and Woolworth St. On May 4, 1892 Louise Blum was born here. Andrew was working for Gate City Malt Company as a maltster. Andrew's brother William joined him and also worked their as a laborer. You can see from the sea sawing back and forth between Omaha and White Lake, that the family had to work hard to stay afloat in the sparce times. 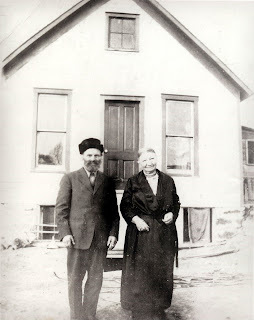 In 1895 Andrew and Louise returned to South Dakota for the planting season. 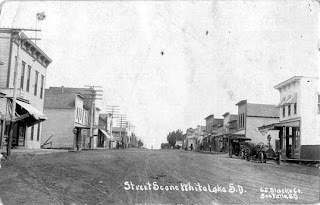 This is where my grandmother, Marie, was born in White Lake, on April 5, 1995.. 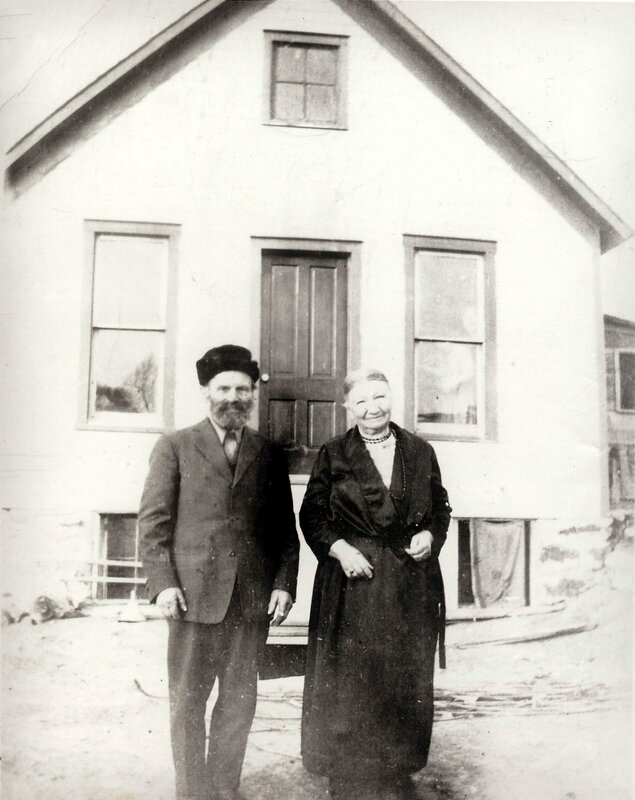 In 1882, Andrew and Louise, and his brother, William and Louise's sister, Caroline, became the first homesteaders to settle in Aurora County, South Dakota. Andrew on a 160 acre tract of land. William on another. Subsequently Andrew acquired another 160 acres of land through a timber claim. Being a direct decendant of Andrew, I do have more information on him than I do William. In 1883, Andrew once again sent money to Germany, this time for his brother, Gustav Blum and his wife, Fredricka Hodel, to come to America. 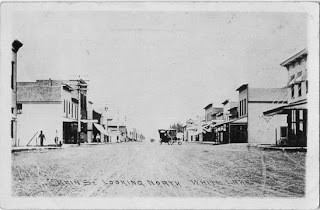 Gustiav and his wife resided in the White Lake, South Dakota area until the summer of 1889, when they moved to Franklin, Kentucky. 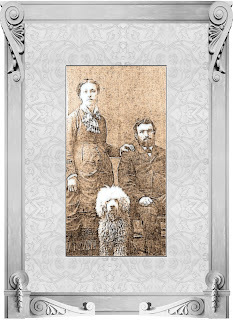 In 1892, they relocated to Galena, Illinois, and resided there the rest of their days. The winters were rough on the plains in the 1880's. Andrew and Louise returned to Omaha, Nebraska many winters where Andrew would work in the breweries as a maltster. Their second child, Ernest Blum was born in Omaha, on March 1, 1884. The family was boarded at the European Hotel, and Andrew was a maltster at the Metz Brewing Company. In 1885, Andrew once again sent money to Germany for his brother Martin Blum, to come to America. 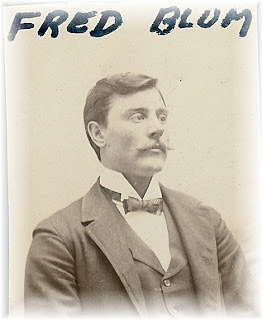 Andrew procured work for Martin at the Storz Brewing Company and in 1886 Martin became a successful brewmaster at the plant. 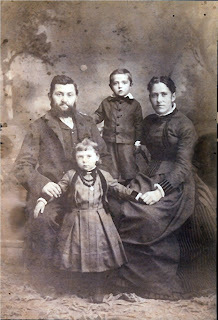 In 1880 Andrew sent money to Germany for his brother, William and his wife, Caroline (Moessinger), and their four children, Charles, Mary, Fred, and Lena, to come to America. Andrew purchased them a home in Omaha and helped William gain work in the brewery as a laborer. When I think of our ancestors and how they came to leave thier homelands to come to America it gives me a sense of the strong desire to fullfill a dream. How hard it had to be, many of them coming to this strange world alone, and penniless, and not knowing the language. Traveling miles and miles and working along the way before settling in a place they could call home. And think of the strength in the family bond that tied them together as they worked to bring their other family members to them. But for most, it was to never again see their homeland, and many of their family that were left behind. In 1881 Andrew once again sent money to Germany. This time it was for Caroline's sister, Louise Moessinger. When Loouise arrived in Council Bluffs, there was no one at the depot to meet her. The slave traders offered to help her but instead took her to the auction block to sell her as domestic help. Can you even imagine the releif she must have felt when Andrew arrived with the steamship ticket he had paid for to New York, and the rail passage ticket from New York to Council Bluffs? Can you imagine being a young girl in a new country with a language barrier standing between you and your destiny? I myself would have sit down and cried. Perhaps she did. Andrew married Louise on June 27th 1881, at Council Bluffs, Iowa. After their marriage they lived in a house on the north west corner of Nicholas and Pierce streets. Andrew was a maltster for the Geise Brewery Co. at the time. January 23, 1882, they welcomed their first born into the new world here in Omaha, Nebraska. The weather was so cold and the living quarters, barely adequate, that they kept the baby in the oven to keep her from freezing. I finally finished two scrapbook pages yesterday on the Andrew Blum family. Andrew was my dad's grandfather on his mother's side of the family. He came to America at the age of 25, from Germany. Andrew was born August 18, 1851 in Kondringen, Baden, Germany, to Karl and Marie Barbra (Schiller). He lived in the home of his parents and aided them in their struggles until the age of twenty. He then obtained work in a brewery where he remained until the year 1876, when he secured passage on a frieghter at the French Port of LeHarve. He shoveled coal for the boilers to produce steam to propel the ship. The ship traveled by way of Africa before landing in New York City. Andrews well muscled back aided him in getting work as a maltster in breweries. A maltster, as explained by Andrew, is one who observed one of the brewing processes. Andrew worked in breweries in New York, and Cincinnati as he migrated westward. 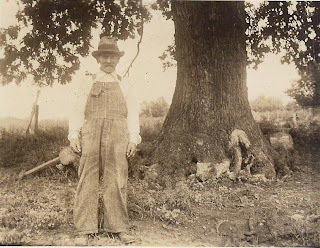 He worked in the Anheuser-Bush breweries in St. Louis, Missouri from the years 1876-1880. He then traveld to the Omaha-Council Bluff area where he worked in the breweries as a maltster. In 1880, when Andrew arrived in the Omaha/Council Bluffs area, He stayed at a boarding house where he met a man by the name of Adolf Storz. Andrew taught him the fundamentals of the brewing business, with the use of malt, hops, barley, yeast, and water. From this friendship and the advice of Andrew, Adolf Storz started his own brewery which was named after him, the Storz Brewing Company. I'm new at this blogging thing and really don't have a clue as to what I'm doing. So in my learning frenzy I'm bound to make a few mistakes, but in the meantime, hope to make some progress too. I want to use my blog to talk about my family history and share news of findings with others out there that may be interested. So if there is anything I need to be doing, and am not doing, I do hope someone will tell me. (I'm sure some one will, people LOVE to point out your weaknesses!!) Everyone is a critic. So I guess to get started let me tell you who I am and a bit of where I come from. 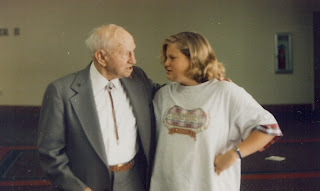 I am the 2nd daughter, 3rd child of Cecil and Peggy (Nutsch) Pierce. Cecil is a decendant of Alexander Pierce from the Virginia's. Peggy is the decendant of Paul Nutsch, a german immigrant that came to Kansas for a visit when he was 12 years old and never returned to his home land. As my grandpa would say "I guess he's still a visitin!" My dad's mother was a Blum, decendant of Andrew Blum, a german immigrant that came to America at the age of 21, and one by one helped to bring over the rest of his family. He homesteded in the South Dakota plains, before settling in Nebraska. There is so much to tell I won't go into great detail at this time, but will little by little add bits and pieces of family history, to help paint a picture of the lives that lead to me, my children, and my grandchildren.